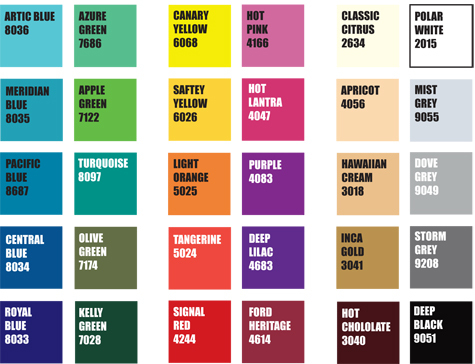 Here is a selection of the most popular colours available for your new Mirage. PLEASE NOTE: The colour on this chart have been matched as closely as possible to the original gelcoat colours but may vary on different computers and printers. Exact colour match is not guaranteed.